With the Holidays quickly approaching, gatherings and fun events are on the horizon. This reminds us that there is also a possibility of the need for quick action in case of an unfortunate medical emergency. 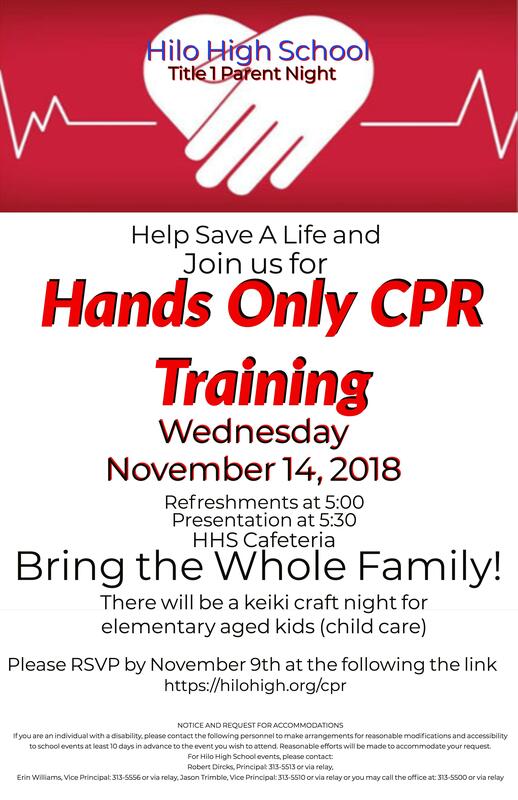 Hilo High School invites all students and families to join us for a night of training in recognizing the need for and executing Hands Only CPR. Child care will be available for school aged children and light refreshments will be offered. This event is made possible by our community partners, HHS Title One funding, and school faculty & staff.